Las Vegas, NV, USA - January 10, 2019 - Technology innovation across every major and emerging industry has been unveiled this week at CES 2019, including the latest in AI, 5G, entertainment, sports, automotive, resilience and smart cities. 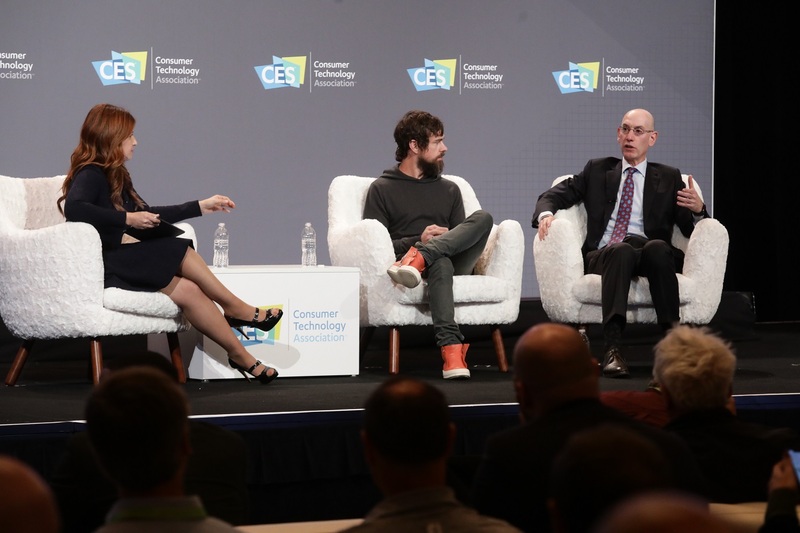 With keynotes from the leaders of AMD and AT&T, sessions featuring executives from Twitter, the National Football League, Walmart and Intel, along with thousands of product debuts, CES is the global hub for innovation that will transcend industries and fuel economic growth. 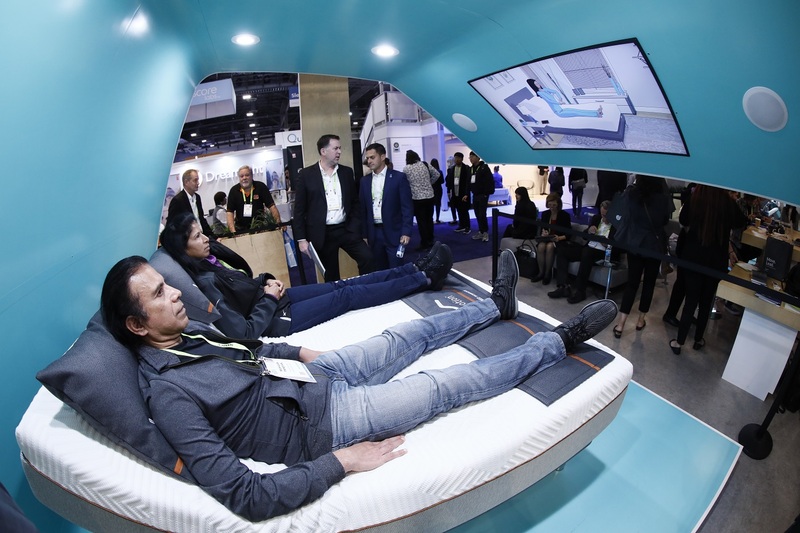 Technology innovation across every major and emerging industry has been unveiled this week at CES® 2019, including the latest in AI, 5G, entertainment, sports, automotive, resilience and smart cities. 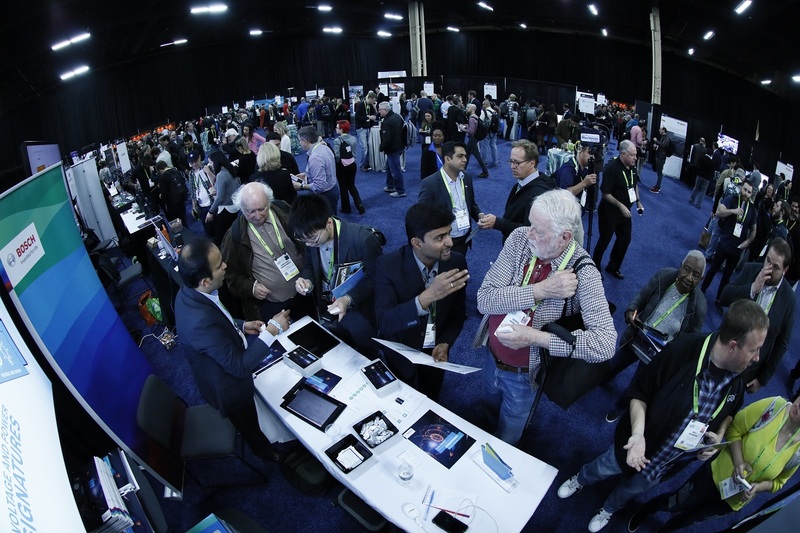 With keynotes from the leaders of AMD and AT&T, sessions featuring executives from Twitter, the National Football League, Walmart and Intel, along with thousands of product debuts, CES is the global hub for innovation that will transcend industries and fuel economic growth. 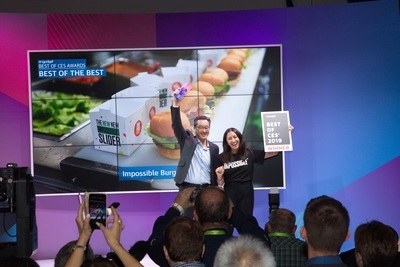 Owned and produced by the Consumer Technology Association (CTA), CES 2019 runs through Friday, January 11. 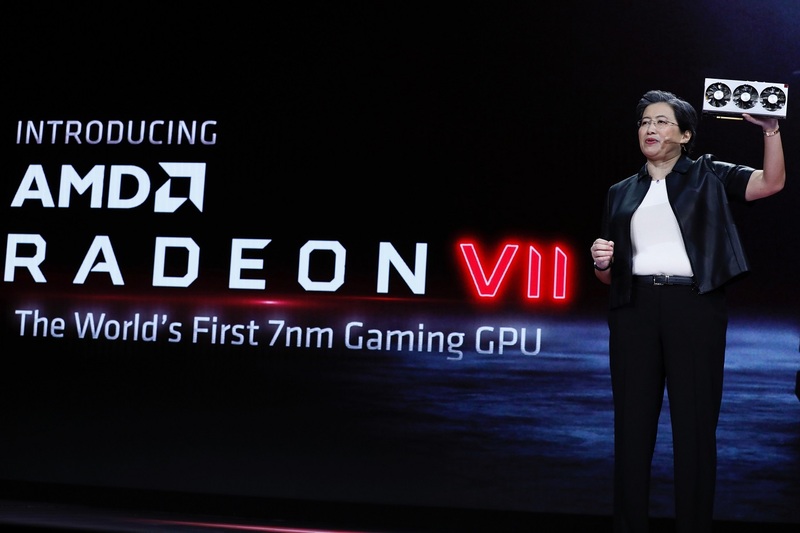 Dr. Lisa Su, president and CEO of AMD, took to the CES keynote stage Wednesday morning and announced the new Radeon VII processor. Available in February for $699, it’s the first 7nm processor built for gaming and ensures impeccable performances, running smoothly during live demos for the upcoming games Devil May Cry 5 and Tom Clancy's The Division 2. The Radeon VII is not only proof of AMD'S dedication to high-performance gaming computers, but also its applications for creatives and students. AMD President and Chief Executive Officer Dr. Lisa Su discusses the next-generation of computing at CES 2019 with AMD's Radeon VII gaming GPU. Dr. Su shared how Radeon VII and other AMD products will be used by the esports team Fnatic and in a STEM-focused high school in New York. 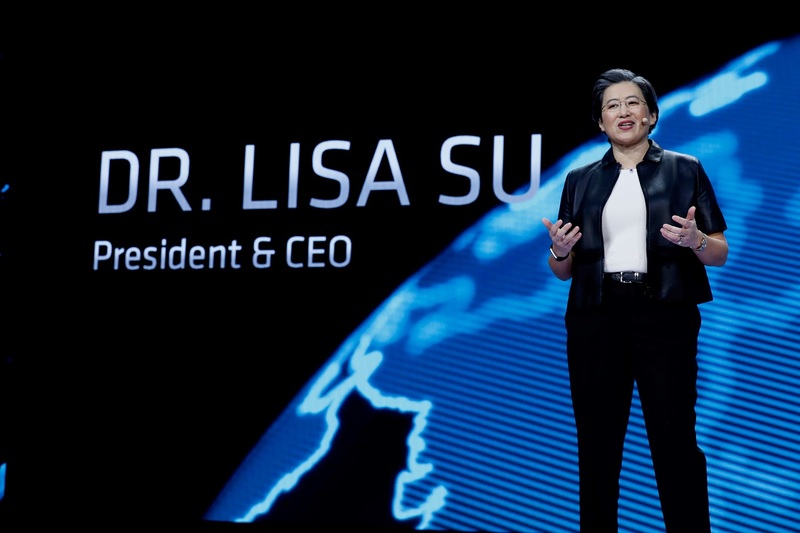 "It’s our job to bring power computing to the largest ecosystem we can," Su told attendees. 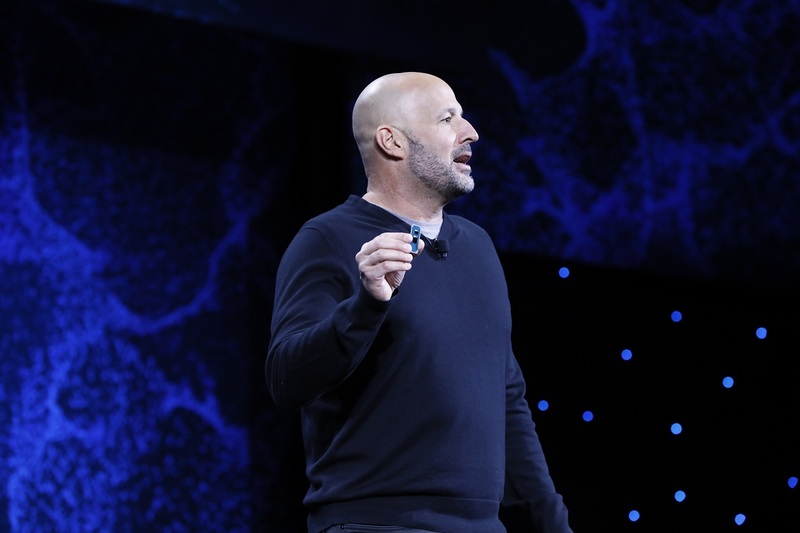 Later in the day, the “New Frontiers in Mobile” keynote gave attendees a glimpse into the future of 5G. 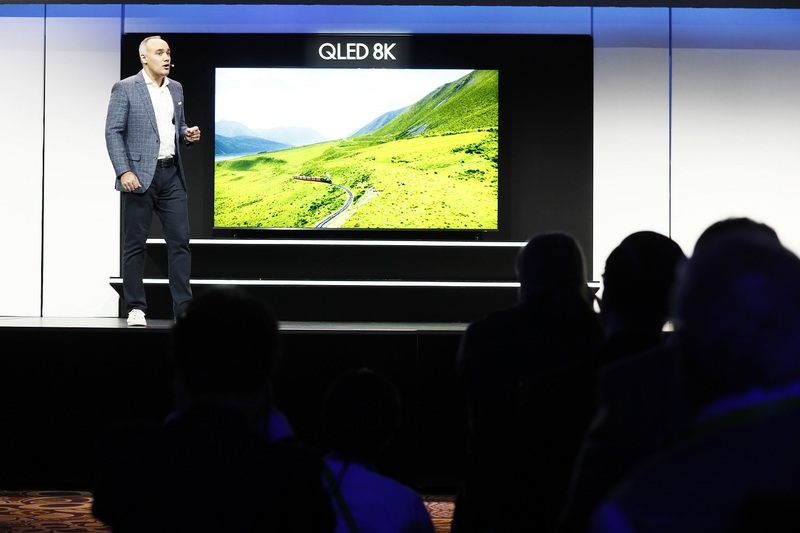 MediaLink Chairman and CEO Michael Kassan kicked off the keynote by declaring to the crowd that "CES 2019 is, for all intents and purposes, the dawn of 5G." Kassan was joined on stage by AT&T Communications CEO John Donovan and the two discussed AT&T's efforts to make 5G a reality. 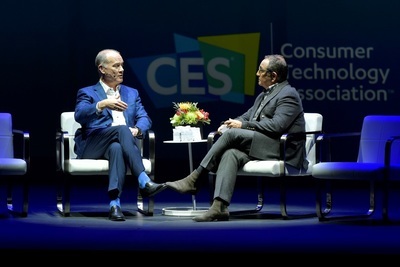 Imparting on the crowd the significance of 5G, Donovan told attendees, "This network, really simply stated, is not just faster and more efficient – which we've grown to appreciate – it's a real-time network. So it's a game-changer." AMD President and CEO, Dr. Lisa Su, shares the stage with Microsoft's Head of Gaming, Phil Spencer, during the AMD keynote at CES 2019. The two discussed the recent launch of AT&T's 5G Evolution network, as well as AT&T's work to make Rush Hospital in Chicago the first 5G-enabled hospital. 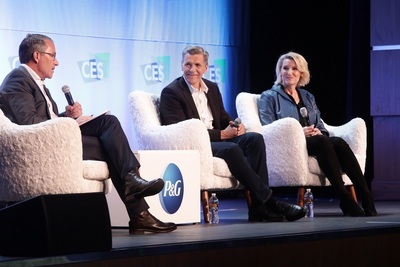 Following their discussion, Philip Thomas, chairman of Cannes Lions, moderated a panel discussing the possibilities of 5G. Executives from Adobe, Deloitte Digital, Magic Leap, National Geographic and The Stagwell Group explored how 5G will impact our lives. The panelists agreed that beyond supporting technologies such as self-driving cars and VR, 5G promises to transform areas such as storytelling and marketing. Aurora, along with the other panelists from Audi, Intel and the National Safety Council, are members of the newly-launched PAVE coalition which aims to educate the U.S. public on the benefits of self-driving vehicles. 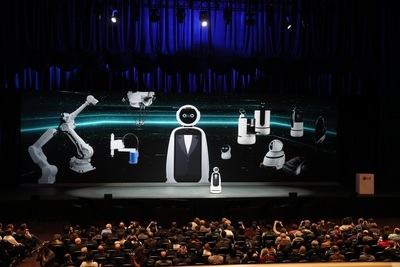 Waymo CEO John Krafcik address the Leaders in Technology dinner during CES 2019. Reinforcing the benefits of self-driving vehicle technology, Waymo CEO John Krafcik touted the safety and societal changes that self-driving vehicles will create at CTA’s Leaders in Technology Dinner on Wednesday evening. Once put into action, self-driving vehicles have a chance to eliminate the 94 percent of car accidents caused by human error, making our roads much safer. "This technology has the chance to really make a difference, and that’s why we are so excited to expand," Krafcik said. Interviewed by Fox Business News anchor Liz Claman, Krafcik described how Waymo's self-driving cars can take riders home safely no matter the weather, road condition or traffic. As self-driving cars gain more popularity, Waymo plans to continue developing their technology, expanding the number of cities they have a presence in and introducing electric cars into their fleet. 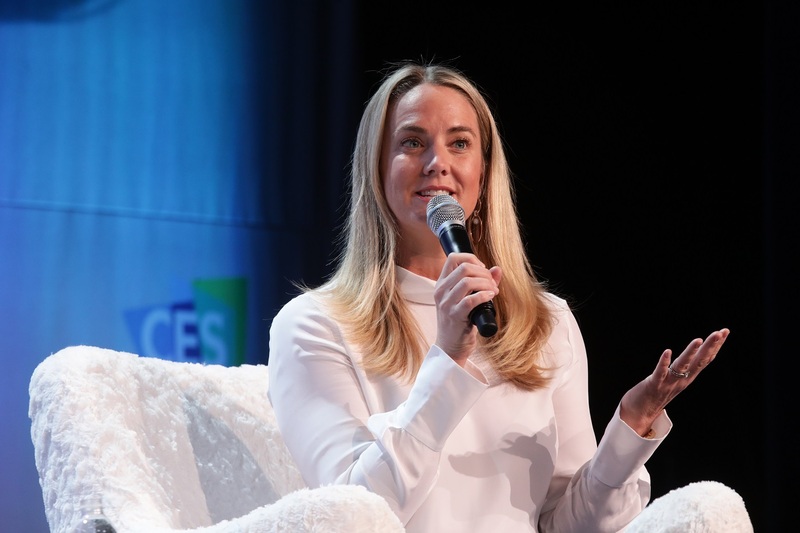 Michelle Wilson, Co-President at WWE, speaks to attendees at C Space at CES 2019. 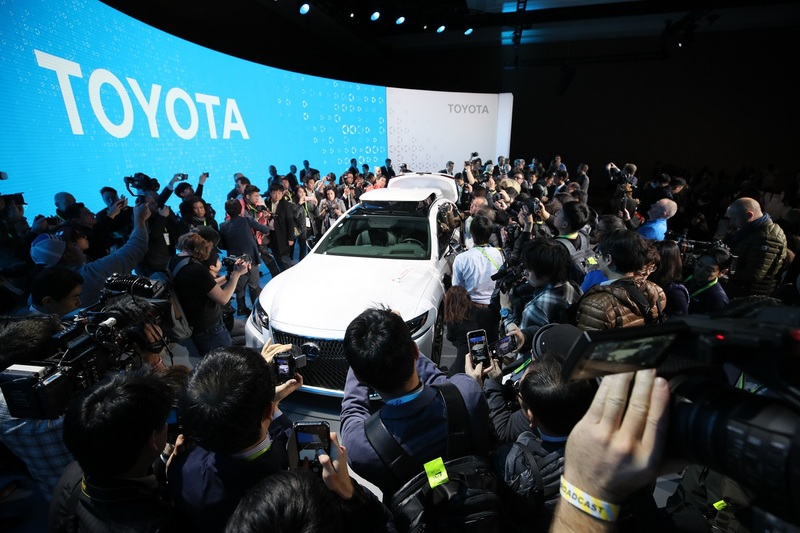 The intersection of 5G, AI and vehicles was a recurrent theme throughout Wednesday’s conference sessions. The “Connected Car with 5G” session, moderated by Julian Mitchell of Forbes, included executives from BlackBerry Certicom, Renault-Nissan-Mitsubishi, TomTom and Flex. The panelists deliberated how 5G will transform future cars into a private data center, touching on topics such as smart cities, affected industries, autonomous vehicles, mobility and privacy protection. The “Applied AI” session – held in Eureka Park and hosted by Bruno Morency, Techstars; Karen Holst, LinkedIn Learning Instructor; Gregory Pal, Automat; and Allan Benchetrit, Algolux – delved into the complex AI space within the tech industry. Panelists tackled personalizing the AI experience for the consumer and having the capability to interpret, share and apply data across the entire tech ecosystem. Building relationships with consumers is key in educating the public about AI and deep learning in a time when everyone advertises themselves as an AI company. "If everyone claims they are an AI company, then no one truly is an AI company," said Gregory Pal, CBO, Automat. Toyota news conference at Media Day 2. Examining the effects 5G will have on the storefront, the “What IoT and 5G Bring to Retail” session featured a discussion between Michelle Grant, international head of retailing at Euromonitor, and Dr. Charis Christopoulos, GlobalLogic SVP, CTO, and EMEA. 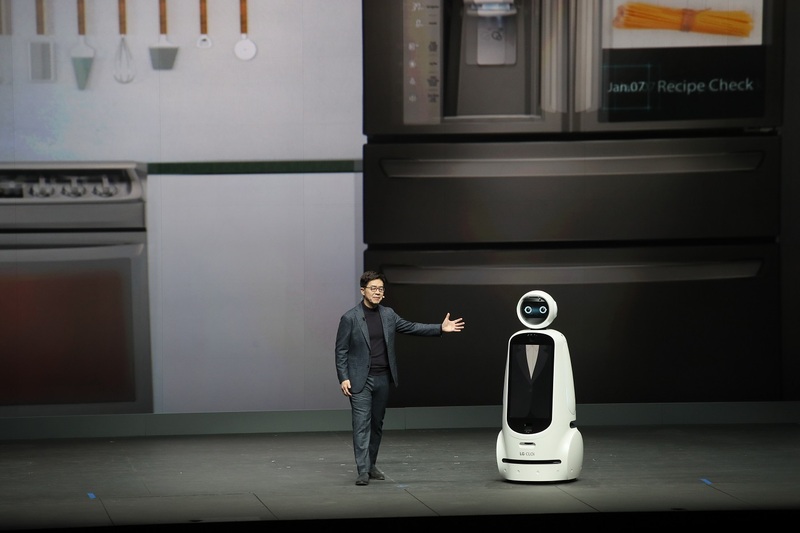 The two discussed IoT and smart homes' impact on retail, and how shopping via home appliances is becoming embraced in everyday life. Following the discussion, Dan Tynan of Improbable Ventures moderated a panel featuring executives from Verizon, which looked at how shopping will be affected by the emergence of 5G. Delving into the international retail landscape, “Understanding the Asian Retail Market” featured moderator Deborah Weinswig, CEO and cofounder of Coresight Research and executives from Tencent and JD.com. Samsung unveils several new products, including the new Samsung 8K QLED TV, at CES Media Day 2. “WeChat has evolved the way that people shop,” said Cecilia Tian, vice general manager, smart retail strategic partnership department, Tencent. Tian explained how WeChat has become ubiquitous in Chinese culture and is creating boundless opportunities for retailers. Chinese consumers spend an average of 100 minutes a day on WeChat and nearly all utilize its QVC code service to purchase products, enabling a better retailer-shopper relationship. Chen Zhang, CTO at JD.com, discussed the new challenges that come with these benefits. Taking the discussion beyond the checkout counter and into consumers’ homes, the “Technology Deployment into the Home” session, moderated by CE Pro, examined how products are making their way into people’s homes, who is installing them, and who supports this process. 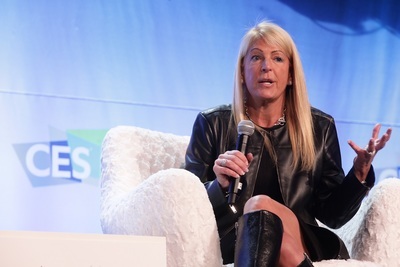 Leaders from Amazon, VIVINT, DISH and Starpower discussed topics including enabling technicians with correct diagnostic tools, setting up customers from the start with proper installation to mitigate support issues down the road and a future where products will no longer need in-person service management. During the "#NBATwitter" session, part of the CES Sports Zone Conference Track, Twitter CEO Jack Dorsey and NBA Commissioner Adam Silver discussed how their partnership is a perfect fit for the younger demographics watching basketball – many of whom are hungry for an accessible source of information. LG President and CTO Dr. I.P. 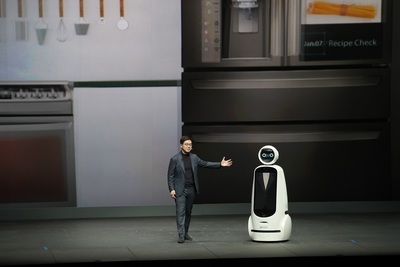 Park delivers a keynote address at CES 2019. Moderated by ESPN anchor Rachel Nichols, Silver and Dorsey explained how loyal viewers have used Twitter to create their own fast-paced channel to report the game and share their thoughts. Silver described the NBA's relationship with Twitter as a "virtuous circle" because the league also finds out news and trends from the social media site, keeping the online community vibrant and flourishing. Moderated by CNN anchor and correspondent Brian Stelter, Levy noted that TV content is going beyond the TV and companies should look into alternative ways to get viewers interested in more sport games, such as notification options, personal pay-per-view options and bundles with sports gambling. Intel announced its 9th Gen Core processors at CES Media Day 2. Also part of the CES Sports Zone Conference Track at C Space, the "Immersive Media" session, moderated by Michael Davies, senior vice president, Fox Sports, explored how technology is revolutionizing how fans consume sports content. Executives from Intel, the National Football League, NextVR, and Yahoo! Sports discussed technological advances such as VR and 5G, and the opportunities and challenges they present to marketers. 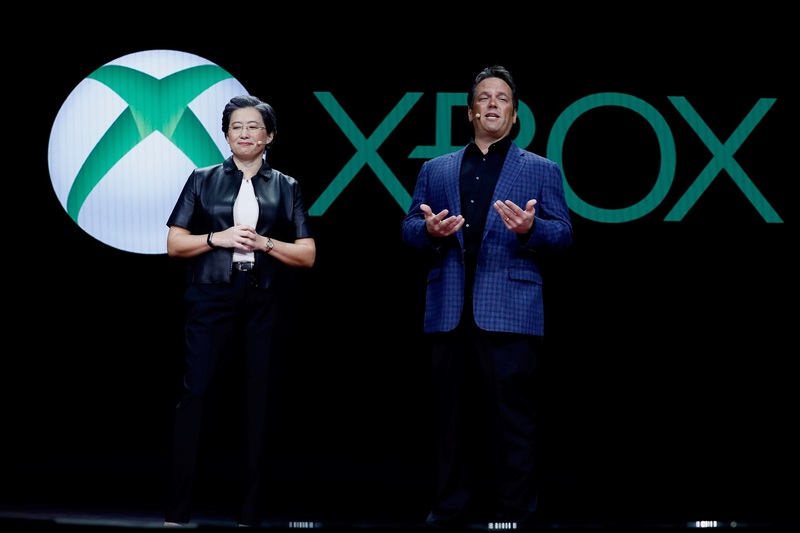 Topics included VR's potential to bring fans with disabilities into the game, and the effect 5G will have on everything from VR to sports betting. Further examining audience consumption and engagement, the “New Rules of Engagement in the Disruptive Age” panel at C Space, moderated by Janko Roettgers, senior Silicon Valley correspondent for Variety, offered attendees advice on how best to engage audiences across a range of social platforms. Panelists included executives from Ey, MGM Resorts International, Reddit, Spotify and YouTube, and the spirited discussion covered topics ranging from the expanding landscape of platforms, catering engagement based on those platforms, and how best to foster user trust in this disruptive era. Kelly Campbell, CMO of Hulu, speaks to attendees at C Space at CES 2019. How to keep maintain that trust by securing users’ data was the focus of “Cyber Network Security," which featured executives from the Center for Strategic and International Studies, AIG, nDimensional, and was moderated by Bloomberg’s Commercial Director, Sime Jurac. Topics included resilience, employee education, risk management and cybersecurity awareness in the product design stage. “Achieving and maintaining trust around these devices is essential to enjoying the benefits they can offer us,” said Suzanne Spaulding, senior advisor at the Center for Strategic and International Studies. 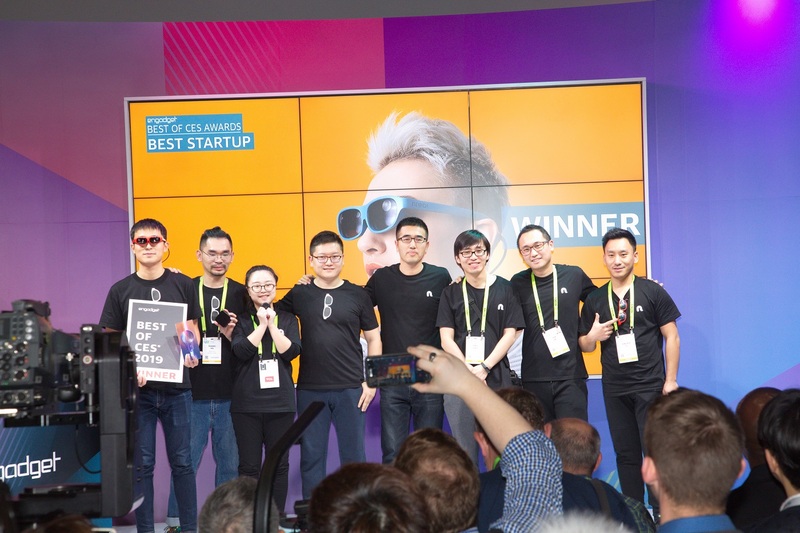 The benefits that diversity offers the technology industry continue to be a main theme of CES 2019. Coming on the heels of CTA’s announcement to invest $10 million of venture capital in minority-owned businesses, this policy session focused on the business case for a diverse workforce. 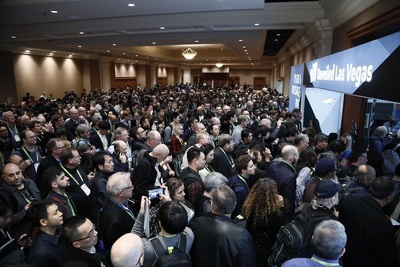 An eager crowd gathers ahead of CES Unveiled Las Vegas. Do members of the Latinx community interact with technology differently? And if so, why? The C Space Storytellers session, "Authenticity + Tech, Winning Latinx Engagement” – featuring speakers from Nielsen, Walmart and Univision – set out to answer this. As longtime early adopters, cultural experience drives the Latinx community's technological use, as familial importance and the desire to share information are common. Latinx also favor brands that contribute to social change or seem to understand their heritage. Attendees enter CES Unveiled Las Vegas. 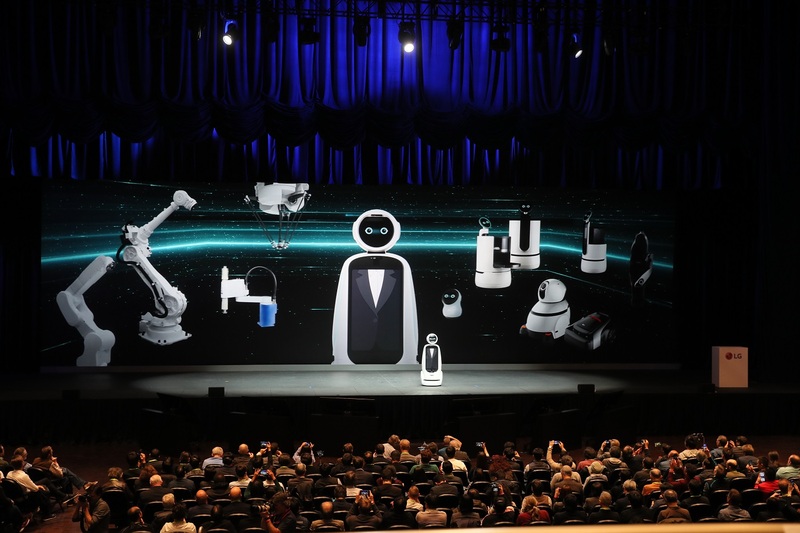 Visit CTA.tech/CESLiveUpdates to get live updates from CES 2019 – including keynote, session, product announcement and show floor coverage. For breaking news, visit CES.tech.